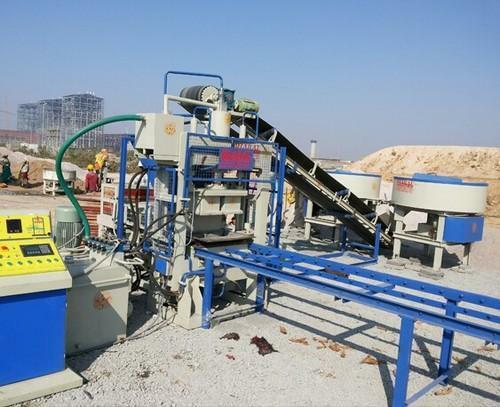 Paver block, cement bricks, fly ash, curbstone making hydraulic machine. Per shift production 30, 000 pcs. Bricks. Paver block, cement bricks, fly ash, curbstone making hydraulic machine. Per shift production 30,000 pcs. Bricks. We, Loyang Global are the leading name in this domain for Seller, Marketing, Advertising and Direct Seller for highly functional Global Equipment/Construction Equipment/ Agricultural Equipment & Tools and Kits. We, Loyang Global are one of the foremost Manufecturer, Seller, Marketing, Advertising, Direct Seller/ Dealer and Distributor for highly functional Global Equipment/Construction Equipment/ Agricultural Equipment & Tools and Kits. Our organization is tied-up with various nationwide and worldwide manufacturing companies. Our organization is making obtainable a widespread range of Global Equipment/Construction Equipment/ Agricultural Equipment. These varieties of Equipment are designed at our up to date development unit by use of top quality raw components and state-of-the-art tools and technology. In conformity with international quality standards, our diversity is highly appreciated by the clients for less upkeep requirement, user friendliness and longer functioning life. We are eager to offer reliable products to meet different requirements of clients. Our products are very much demanded at large scale in the marketplace and in various commercial sectors. Our merchants’ are sources of high-class raw components and a team of professionals backs us. Our firm is betrothed in processing quality approved components as per set quality norms. We are having ability to meet to the future demands with the assistance of our well-equipped unit. Our huge warehouse facility helps us to meet bulk requirements of clients within guaranteed time. Owing to the management of our mentor Manuj Kumar Gogoi, we have gained a renowned position in the nationwide marketplace.